The Headlight Revolution Diode Dynamics SL1 Low Beam Headlight conversion kit is one of the only kits on the market that allows for PLUG AND PLAY installation on ALL YEARS of the 2009-2018 Dodge Ram with factory reflector headlights! Including 2015 Ram trucks! Watch the video for detailed install instructions. This conversion kit will allow you to run LED lights in the low beam without any issues. Many LED kits don't interface well with the Dodge Ram CANBUS system but the Diode Dynamics SL1 LED bulbs work great when partnered with the Dodge Specific CANBUS module as shown in our install video. 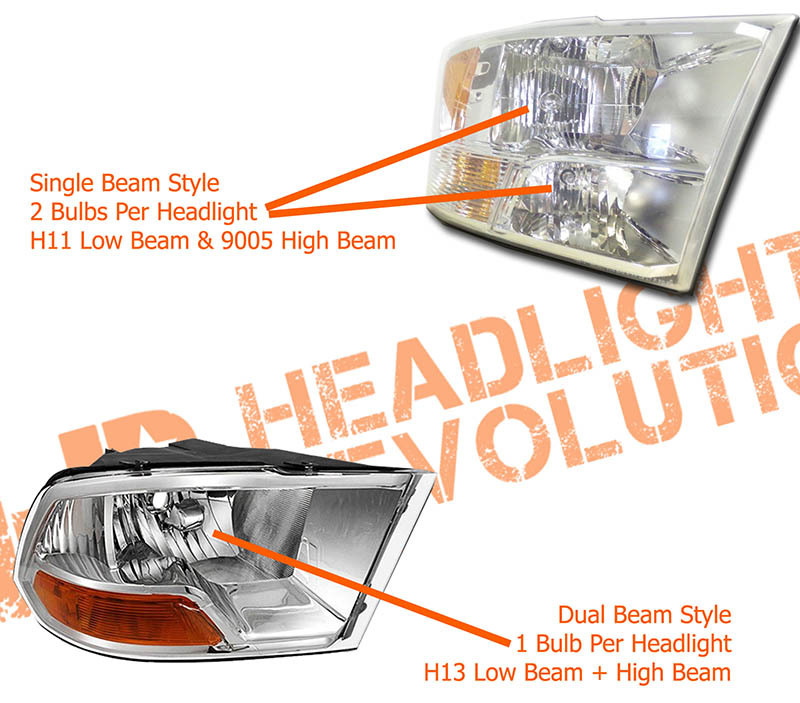 Diode Dynamics is excited to introduce our highly-anticipated new SL1 LED Headlight! It is the first LED headlight bulb made in the USA, compact enough to fit without modification and designed with advanced optical simulation and modeling tools to provide Street Legal output! Simply Better. There's been plenty of LED bulbs to hit the market, but they all have their shortcomings. They're too big, have no hotspot in the beam pattern, or they simply stop working after just a few months. With its compact size, optically correct output, thermally-modeled cooling, and boost-mode electrical circuit, the SL1 LED finally provides a true upgrade in performance. Tested to Perform. We test the SL1 bulb in factory headlamps, and measure the entire beam pattern using specialized equipment. It's an elaborate affair: a headlight is mounted to a computer-controlled rotating head called a goniometer. Light shines down a tunnel, where a sensor collects data as the headlight is rotated. The entire beam pattern is mapped, and we compare the total output to the original halogen, confirming that the SL1 bulb shines more light in the hotspot, without adding extra glare on the road. The test results speak for themselves: in most lamps, like the 2015 F-150 Halogen lamp below, there is 30-70% more light in the critical hotspot, with no added glare or spread of light. 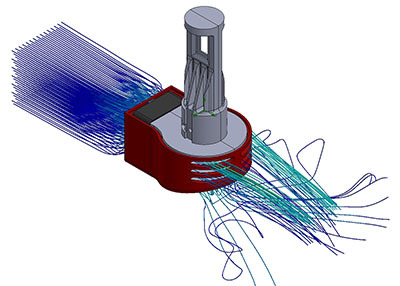 With optical engineering, testing, and validation in the application, we can assure correct optical performance.. Keyed bases are size-specific for correct fitment (not one-size-fits-all).